On April 23, 1972, Apollo 16 astronauts Charlie Duke and John Young embarked on the third and final EVA of the mission, exploring the Descartes Highlands via Lunar Roving Vehicle. 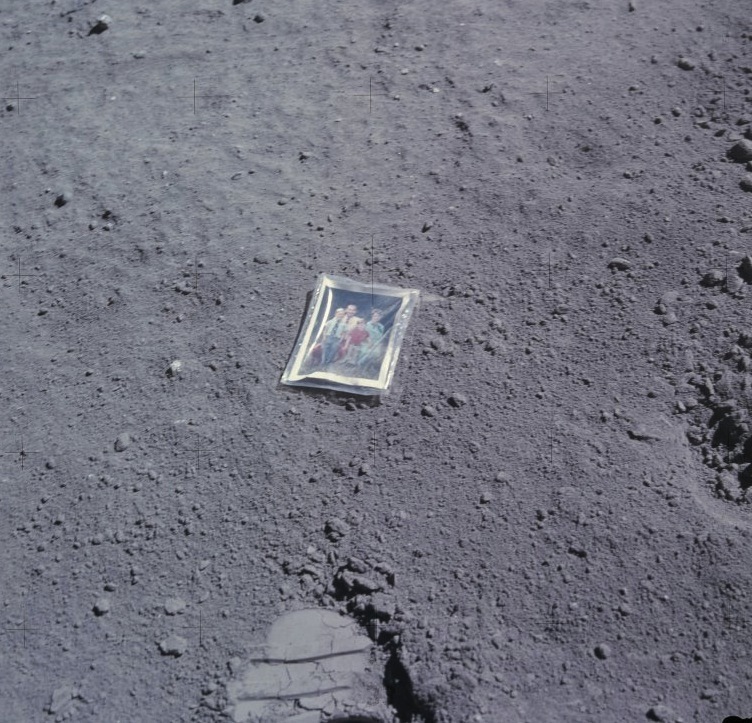 During the EVA, just before setting up a Solar Wind Collector, Duke placed a small family photo he had brought along onto the lunar surface and snapped a few photos of it with his Hasselblad film camera before leaving it there. This is one of the photos. Previous Post How Big is a CME? Stunning story that this photo left on the Moon. But also so moving !! And this photo is above for still some million years! !